It’s not often that you see me writing about good street food in the Klang Valley these days. This could be due to a multitude of reasons; the most obvious being the absence of real, intense effort to venture all out for a decent food hunt after a day’s work (usually an energy-sapping routine), saving up the weekends for a splurge somewhere else instead (more often than not, back to my beloved hometown of Ipoh) or possibly due to the lack of information. Or sheer lack of interesting spots worthy of a detour. Don’t get me wrong. KL and Selangor when combined, have a good handful of gems deserving a nod. Real, delightful hawker food stalls that have stood the test of time. But these are either few and far in between, or closed down … giving way to commercialisation and dawn of the new era of cafes, burger bars and fine diners. Or wannabes. For the price of half a slice of cake in a cafe, the Siam Laksa here deserves an applause. At RM5 per bowl, I sipped and slurped my way through, in spite of the warm surroundings, beads of sweat forming on my foreheads and biting into small bits of cili padi (bird’s eye chillies) thrown in for good measure. 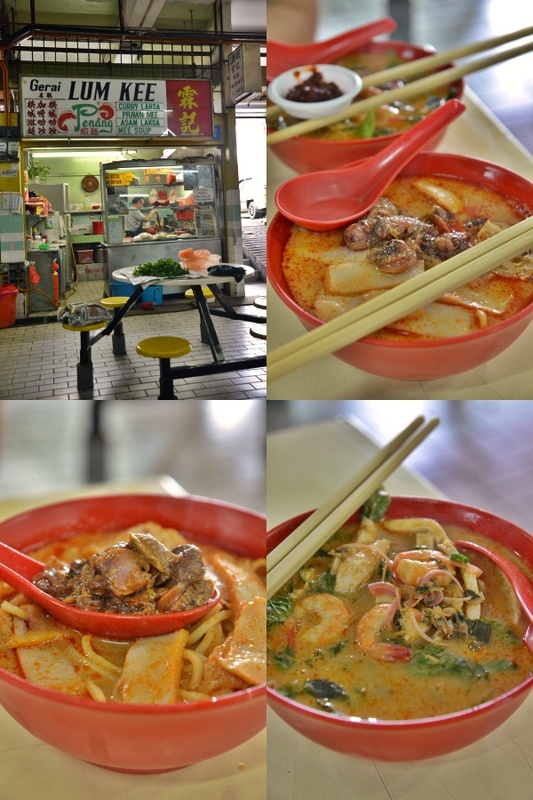 Lum Kee curry noodles stall has been around for more than two decades now. Maybe more. 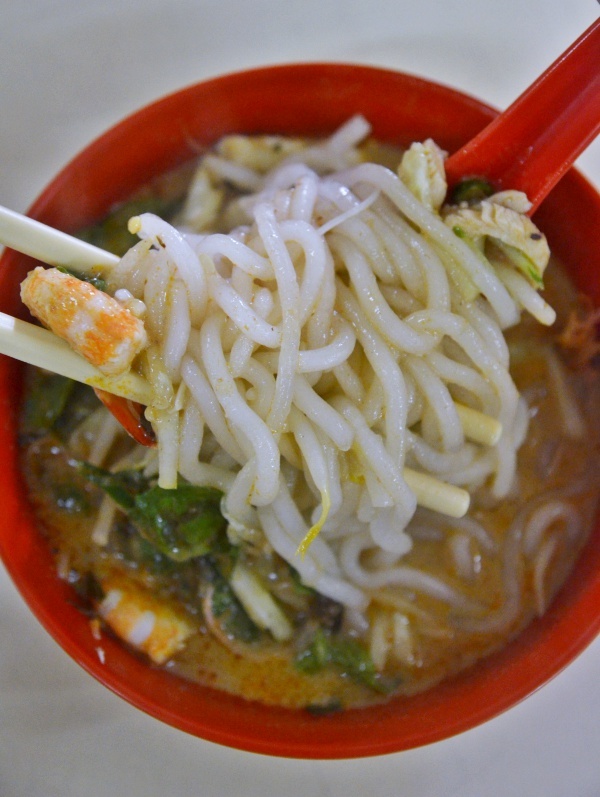 Still run by the pair of brothers in their 60’s (guess-timate), the luring charm of one fuss-free noodles stall taking pride in their curry laksa (or curry noodles), prawn mee (or Hokkien mee in Penang), kuey teow soup noodles and Siam laksa is undeniable. The stall was still in set up mode on that Saturday morning; despite the relatively late hour for breakfast; 9.45am. They were pleasant people with a smile plastered on the face; welcoming us for a seat and immediately starting to work on our orders. We were the first customers. They actually open from 10am onwards. The curry laksa (we call this curry noodles though) came in a rich broth redolent with flavours from coconut milk (santan), and a good dozen or so of cockles. Really plump, juicy and squirting juices type of fresh cockles. An ensemble of tau fu pok (bean curd puffs), sliced fish cakes and bean sprouts completed the experience, and a welcoming dollop of sambal accompanied the serving. Still, some of the better Penang’s or Ipoh’s version of the curry noodles still trump this in my books, but good curry noodles in Klang Valley isn’t easy to come by so this will do to satiate the cravings. No dry curry noodles here though, it’s Penang style. However, the Siam Laksa was another story altogether. A combination of the more tangy and piquant Asam Laksa and the creamier Curry Laksa, this ticked all the boxes for me. Smooth rice noodles (lai fun) in a soup that reminded me of Sharon’s Laksa (sadly not available anymore); nicely-balanced savoury, spicy, sour and sweet flavours combined in a sultry finish, the noodles came with prawns, shredded chicken and lots of mint leaves as well. It could have been too early, or it could be because it’s a Saturday. All of the stalls surrounding Lum Kee was not opened yet. 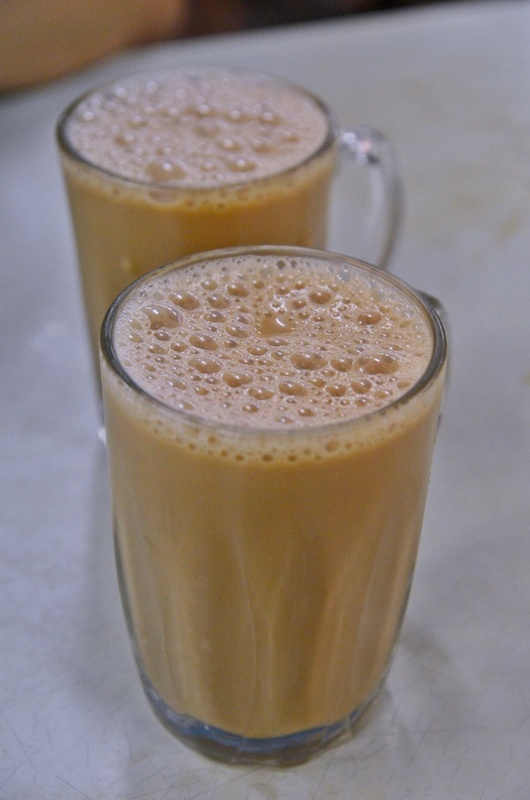 We had to walk up a floor to the Malay food section which has a healthier crowd for a glass of Teh Tarik. Apparently, the Lontong stall in the Malay food section is very popular. The crowd literally had to line up, place their orders, pay and leave with their plateful of goodness. Needless to say, this is on the list, automatically. Happy Midweek people. Location : The food court is located in Section 14, near to Digital Mall and at the ground level of the wet market. 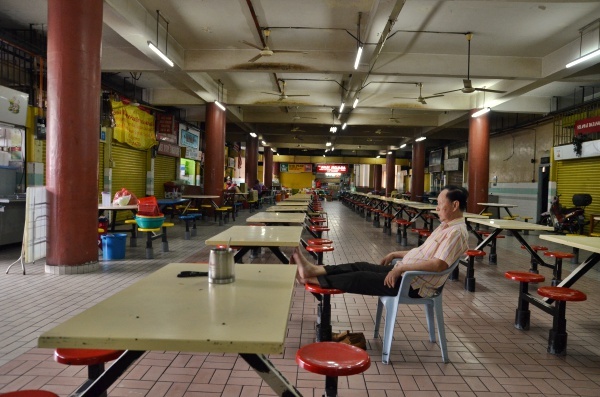 Search around and you will find Lum Kee, and the Malay food stalls a floor above. They don’t put any sambal inside curry mee?? I love laksa so much .The rich coconut laksa paste,is just simply awesome.